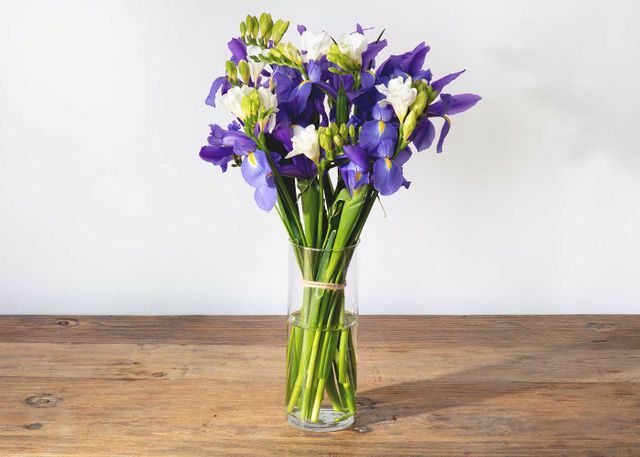 This duo of freesia and iris is a vibrant spring assortment that's as fragrant as it is beautiful. The sweet, delicate freesia, known to represent friendship, brings a sweet citrus scent alongside its iris companion. The result is a towering on-trend bouquet that packs a punch of color and fragrance.